In 2003, I asked Baltimore native Ron Kodlick, if Baltimore were a "beer town." He was then the president of the Chesapeake branch of the Society for the Preservation of Beer from the Wood (S.P.B.W.). 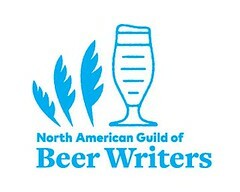 That branch, based in Baltimore, Maryland, is, in fact, the only U.S. chapter of the British advocacy group for traditional ale. Ron replied with evident pride, "I don't need to go anywhere else for beer." I'm sad to report that, on 5 November 2004, Baltimore lost this stalwart advocate. In the same tenacious manner with which he promoted good beer, Ron Kodlick had valiantly waged a one-year battle against a pernicious disease. Throughout, he maintained an active interest in the organization he had shepherded as president and member. 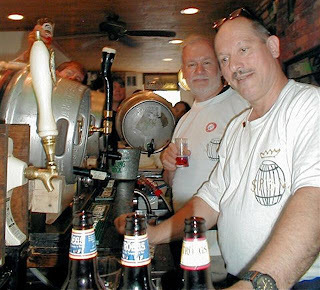 Also a long-time homebrewer (a member of the Cross Street Irregulars, a Baltimore homebrew club), Ron was most enthusiastic and loquacious when discussing traditional real ale, the freshest manner of serving ale - and the least common, at least, in the US. His passion bore grain: beer lovers, who may never have known him personally, now can enjoy real ale in Baltimore, in no small measure, due to his efforts. During Ron's presidency of the S.P.B.W., cask ale, which had been found regularly at but one or two Baltimore pubs, gained three new homes. 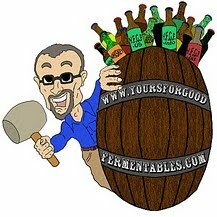 Working with others, Ron was instrumental in organizing an annual real ale festival in Baltimore. Ron would enjoy an occasional "super hoppy" beer so favored by today's microbreweries, but he was never reticent in 'grabbing an elbow' and promoting the tasteful beauty of session-strength cask ale Bitters. Frank Sinatra sang that he had once seen "a man dance with his wife." Any who saw Ron and his wife Gladys together were witnesses to a long-time love affair. Even Ron's email handle was "Mr. Gladys". It's been said, "In heaven there is no beer. That's why we drink it here." Knowing Ron and knowing his vocal fervor, I'm certain he's already fermenting change in heaven. This cask's for you, Ron. Odd that I come across this now in an random, nominal googlesearch. Ron was my 2nd cousin once removed - is that how you say it? He was to me cousin Ron, he was to my dad a friend thru life, I wish I had known him better, but certainly hold the branded memory of our last conversation in my mind for as long as I live.